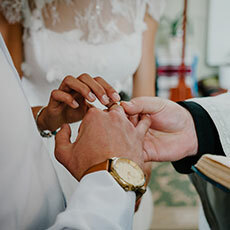 To get a sense of the REFOCCUS© Marriage Enrichment Inventory, view the 5 sample questions below taken randomly from the six questionnaires in the inventory. When finished, couples are encouraged to "go on a date" or spend time alone at home talking about the topics that sparked the most interest. Each member of the couple should pick two items (one area warranting celebration and one needing further discussion) to discuss at one time.